You know, those pepole are poisening themselves. Pepole don't understand throwing plastic into the oceans and lakes, that its bad. Real bad. Here, imagine this. You are a fish. You are living in coral with your family. You are all very happy. But there is a shadow. "What is it?" Everywon wonders. Then your home is cut in half. Would you want that? Then your family is getting stabbed by plastic. Then you get stabbed. You just bleed out in the water. Slowly dieing. Would you want that? Pepole don't relise that animals, are just as = to us. I like coral reefs they are so pretty and colorfull. i have never seen a coral before, and i kind of do want to see one with lots of fish just swimming around i it. fish that I've never seen before. 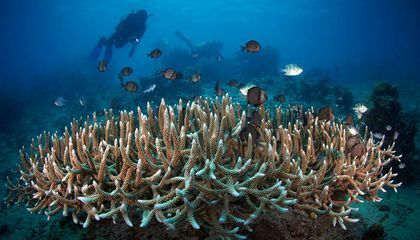 i thought that this is a interesting article about reefs, and hope i can learn more about it some other time. It hurts coral reefs because, fish get stuck in the plastic, and hungry fish might try to eat it and die. Plastic hurts coral reefs by making them fade of their color and could kill them. This is terrible! I hope people understand that this is all our fault. If this continues, someday, coral will become extinct. People will say, "Back in the days when we still had coral..." We can change this. By picking up litter and recycling, this will not become a reality so soon. I think that it is sad that coral reefs are being diseased by trash. People should be more careful and it's kind of ridiculous because people found chairs and more. Its sad to see humanity acting selfish, and throwing trash into the road where it will then end up in the seawater. I think that trash can hurt coral reefs, and the ocean/sea animals because some turtles think plastic bags are jellyfish, and they will then eat the bag and they will die. Plastic pollution hurts coral reefs because fish can get caught in plastic debris and it can cause injuries to coral tissues. 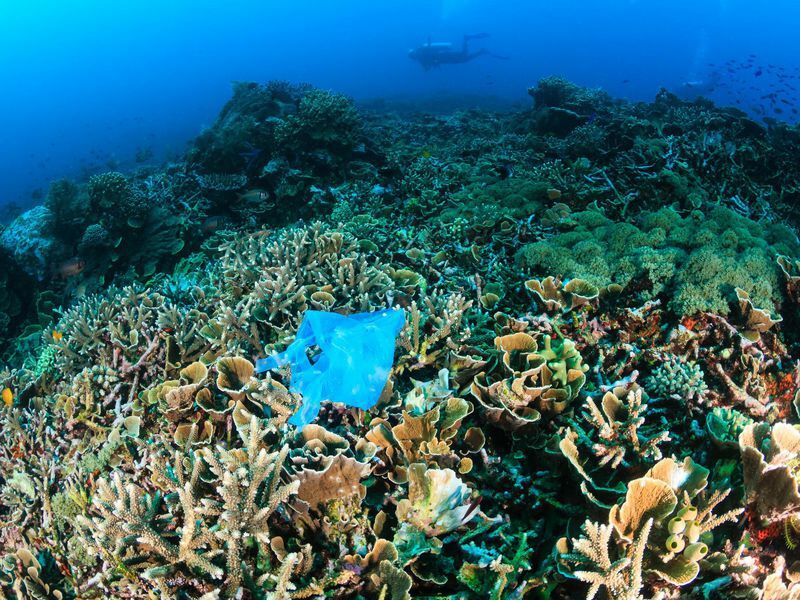 plastic pollution hurt coral reefs by fading their color and that could kill them.